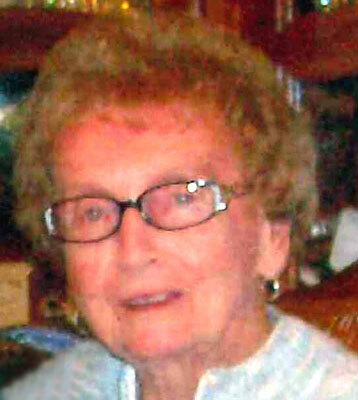 AUSTINTOWN – Leila Mae Bowser, 95, passed away Aug. 29, 2013, at ValleyCare Northside Medical Center. She was born May 1, 1918, in Niles, the daughter of Elton and Sarah Abbott. She was a retired secretary from W.T. Pettit and Sons and resided in Ocala Fla. and Anderson, S.C. after her retirement. Leila attended the Faith Baptist Church in Niles and was an avid reader of books, and could always be found in her favorite recliner enjoying her e-Reader. She was a faithful fan of the Atlanta Braves and never missed a televised game. She will be dearly missed by two daughters, Sally (Ron) Jackson of Austintown, with whom she made her home the past eight years, and Judy Heiple of Anderson, S.C.; a stepson, Richard Bowser of Ocala, Fla.; eight grandchildren, Barbara, Robin, Sandy, Kim, Brian, Joe, Christopher and Kevin; 15 great-grandchildren; two great-great-grandchildren; and a great-great-granddaughter on they way. Besides her parents, Leila was preceded in death by her husband, Samuel; a daughter, Marjorie Plant; a sister, Ruth Abbott; and a brother, Edwin Abbott. A memorial service will be held at 10 a.m., Saturday, Sept. 7, 2013, at Green Haven Memorial Gardens. Arrangements are entrusted to the Lane Family Funeral Homes, Austintown Chapel. Please share your memories of Leila.